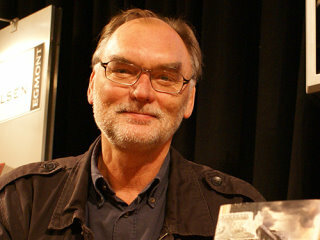 (born 25 July 1950 in Otterup) is a Danish author. In 1991 he won the Danish booksellers award De Gyldne Laurbær for his book Den sidste spion. In 1999, he became a full-time writer. Davidsen writes political thrillers, which depict life of modern man in a changing world. Davidsen published his first book Uhellige alliancer in 1984. It is a story of intrigue in the Spanish Basque Country shortly after Franco's death.